Decorate your dining space with this beautiful dining table. Rectangular in shape, it features a rich oak finish that emanates warm brown tones to liven up any room. It is lifted on four tapered legs for sturdy support. Included is an 18-inch extension leaf, allowing you to extend the table from 60-inches to an entire 78-inches! This makes it easy to entertain for large gatherings or family occasions. 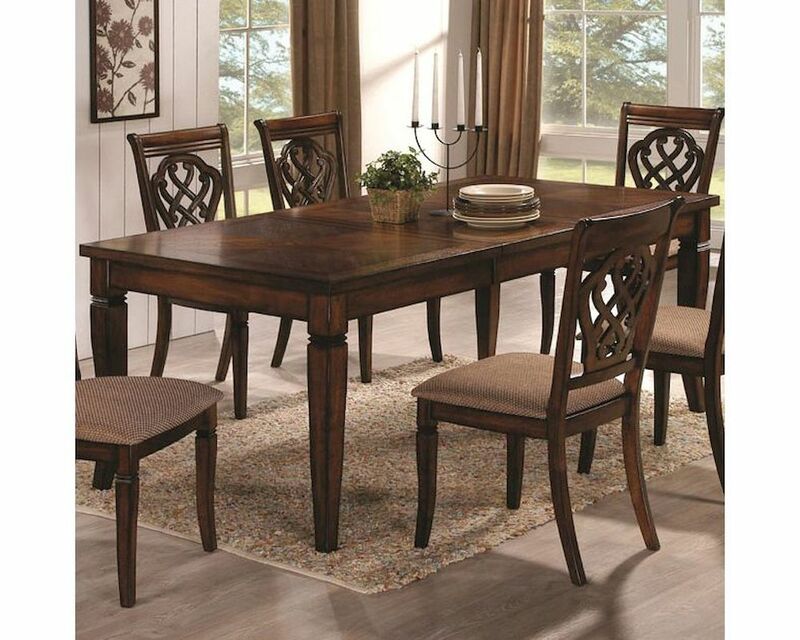 Finished with a smooth, sleek top, this table is an uplifting piece for your dining room. Pair with the coordinating side chairs for a complete set.